Anthem alert! 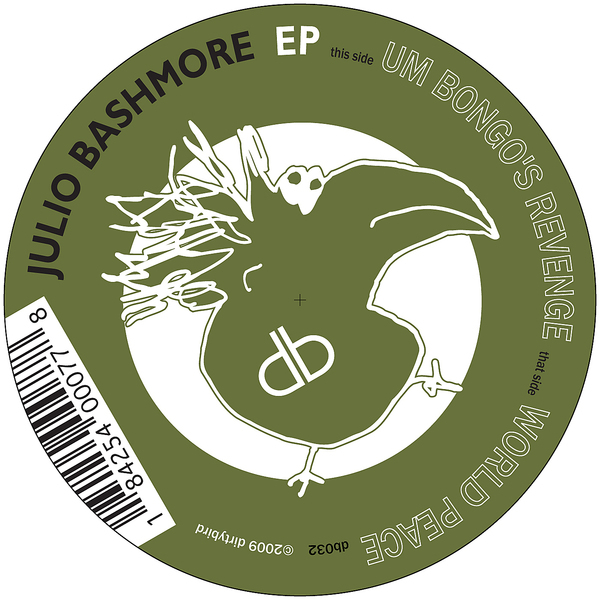 After doing the rounds on dubplate and CDr between those in the know, 'Um Bongo's Revenge' from the hotly tipped Julio Bashmore makes a debut appearance on Claude VonStroke's Dirty Bird imprint. 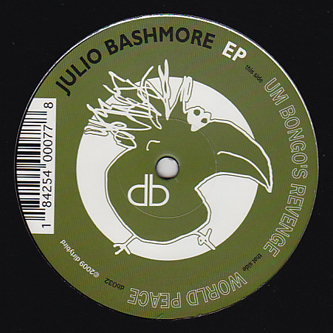 Coming at the end of 2009, this anthemic title track is purely indicative of the blurred boundaries and tropically heated fusions happening in UK dance music (Bashmore is based in London), and spreading bird-flu-like across the world (to labels like San Fran's Dirty Bird). On 'Um Bongo..' Tabla drums fuse with batty-slapping UK subs and ghetto siren calls with a sophisticated Berlin-style finish to ensures it ellicits the same reaction from Ibiza to Inverness, no messing. Basically every DJ and their dog is playing it, and with good reason. On the flip, 'World Peace' shows a more sublime side to the young producer, perhaps coming off like Joy Orbison if he made fresh tech-house or Geeneus if he went the whole way and decamped to Berlin. And like that fateful Joy Orbison 12", both tracks are built with an innocent freshness and vitality that will ensure their inclusion on playlists for time to come. Ace.